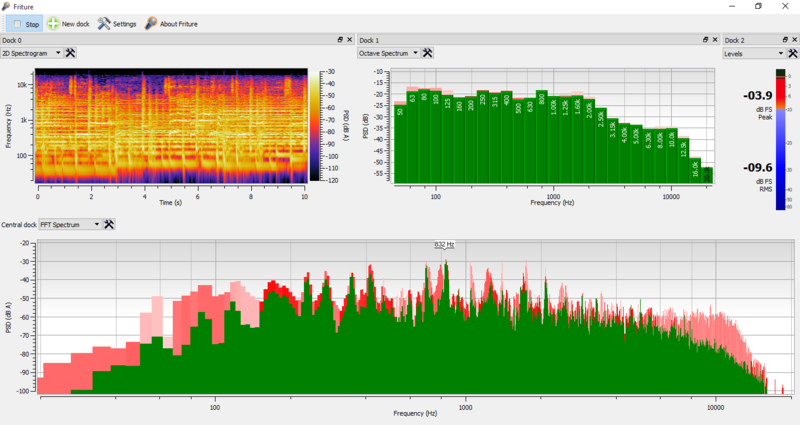 Friture is a real-time audio analyzer. It works on Windows, macOS and Linux. It is free and open source.